The Samantha silk robe is our most popular bridesmaids pick! Available in many soft pastel shades & custom colors as well. Pictured in: Rose pink. In stock and ready to ship in 1 day. More colors are available in my shop. Rose Pink Robe as worn by Lea Michele on Scream Queens. This romantic yet modern robe is handmade with couture quality silk and details. Made of 100% silk that drapes beautifully, and billows softly with the motion of your body. The softness & beauty of our silk charmeuse feels amazing to the skin! Features: dropped shoulders, kimono sleeves, & obi style sash. slips on. One size fits most. Comfortably fits a US size 0-12. 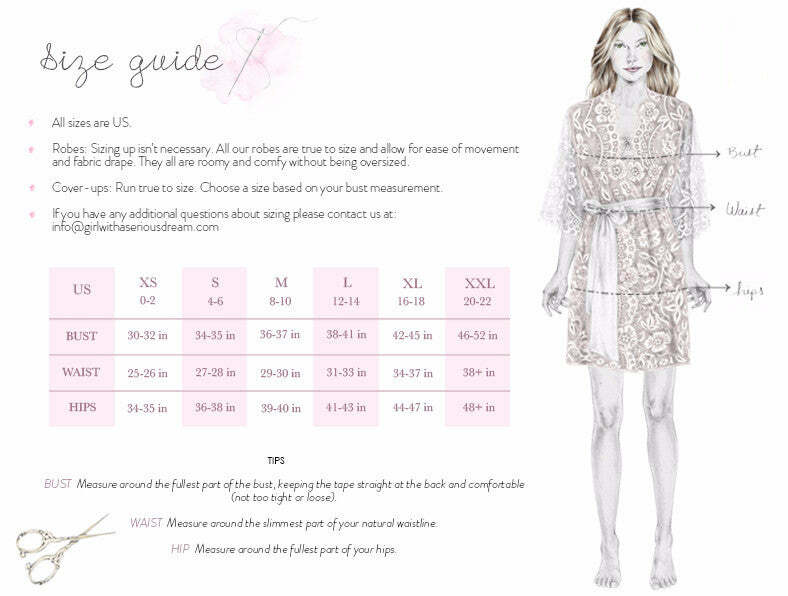 These are designed to fit most sizes because the front part overlaps so you can wrap both sides in the front to make it more fitted, or you can wear it more loose fitting by reducing the overlap in the front. $200 for each robe; discounts available for orders of 3+ robes.